Charles Lindbergh becoming the first man to cross the Atlantic Ocean alone in an airplane – without stopping for refueling or for navigational purposes. The sensationalization of crime and the rise of the tabloid. Babe Ruth breaking his own record for home runs in a single season. The beginning of the downfall of ruthless mobster and bootlegger Al Capone. A meeting among financial minds that ultimately planted the seeds for the legendary stock market crash of 1929. The debut of the first “talking picture” exploding out of Hollywood. I had such a tremendous experience with Blake J. Harris’ Console Wars that I began seeking out other acclaimed non-fiction to digest. 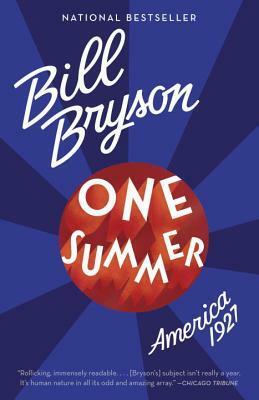 On a routine trip to the local bookstore, I spotted Bryson’s One Summer and decided to give it a shot. I learned so much from this book! Did you know that the only reason the steering wheel was shifted from the right side of the car to the left was so that the “lady of the home” could avoid stepping onto the road? Were you aware that Henry Ford was an ignorant anti-semite? I sure didn’t. In fact, it seemed most people were anti-semites as racism and bigotry ran wild during the roaring twenties. Of all the subjects studied, I found Henry Ford to be the most fascinating. A giant egotist, the man frequently shunned advice from anyone who claimed to be an expert in any given field. One of his biggest blunders involved completely stopping production on his immensely popular car the Model T to concentrate on designing and producing his next creation, the Model A. The only problem? He didn’t know what the Model A was. He completely shut down operations without a clue on what he would manufacture. This led to massive job losses and a huge decline in business (no cars to sell=no revenue). His other ridiculous idea involved buying a huge chunk of land in South America and creating a model American community that would produce the rubber required for his vehicles. 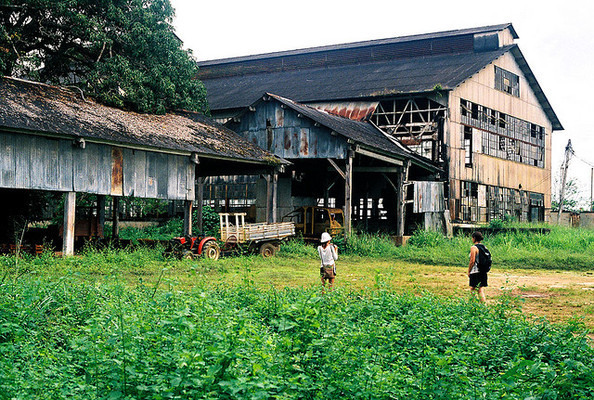 Dubbed “Fordlandia”, the venture failed spectacularly. He seemingly did zero research into the climate and location and appointed dangerously under-qualified men to oversee the operation. How the Ford Motor Company survived is astounding. One of the biggest obstacles with writing non-fiction has to be getting the flow or style right. Obviously Bryson has a wealth of experience with writing non-fiction, but I’m sure it’s always a delicate balance when trying to stay somewhere between page turning prose and blatantly regurgitating facts. While Bryson does a fine job, there were still moments (albeit few) when I found my mind wandering and skimming over long patches of information without digesting anything. Bryson has clearly done his research so there’s a wealth of knowledge crammed into a tight four hundred plus pages – probably why it took me a few weeks to get through the book. It’s a style that I find is best absorbed in small bursts. That being said, I had such a great time with this book that I picked up two of Bryson’s earlier releases (A Short History of Nearly Everything and At Home) this weekend while on vacation. I look forward to reading more of what he has to offer. July 15, 2014 in Bill Bryson, Non-Fiction.